The Turkish husband of a Singaporean woman is reportedly in intensive care after he was shot at one of the two mosques targeted in an attack that killed 50 people in Christchurch, New Zealand, last Friday (March 15). Singapore's Ministry of Foreign Affairs (MFA) is aware of Mr Zekeriya Tuyan, a Singapore permanent resident who is in Christchurch Hospital, The Straits Times understands. It is also understood that the ministry is assisting Mr Tuyan's family, including his wife, Ms Hamimah Ahmat, and their two sons. On Monday (March 18), Channel NewsAsia reported that Mr Tuyan, who is in his 40s and works in Christchurch, was shot at the Al Noor Mosque, where he had gone to for Friday prayers. Ms Hamimah, who is also in her 40s and lives in Singapore, said her husband is in a stable condition after undergoing multiple operations but is still "seriously ill". In the days following the mass shootings, Christchurch residents are grappling with the aftermath of so many of their own dead or injured in the attack by the lone gunman, a self-professed right-wing extremist. Another Singaporean, Mr Rashid Omar, lost his 24-year-old son Tariq Rashid Omar, who was a citizen of New Zealand. ST understands that the MFA is giving assistance to the family. Following the tragedy, many people like former Singaporean policeman Saifudin Abu, 42, have also come forward with offers of help. 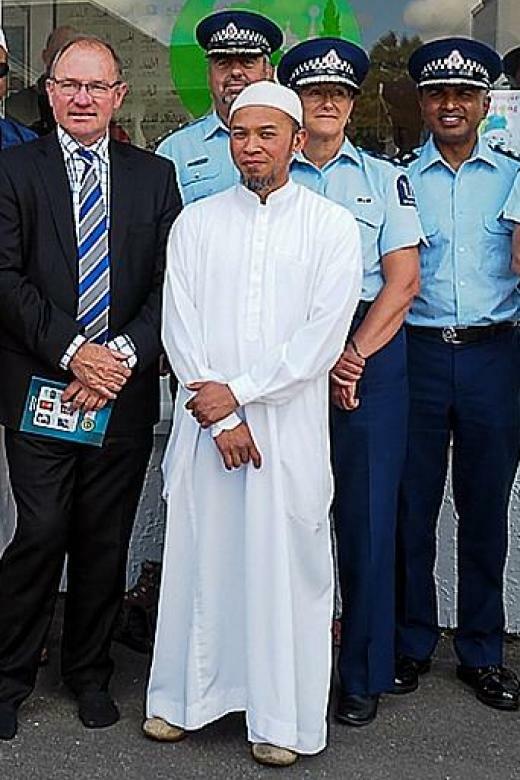 Mr Saifudin, who has 20 years of experience with the Singapore and New Zealand police forces, migrated to New Zealand in 2010 and became a citizen four years ago. He made the 12-hour journey by car and ferry from the North Island with his 12-year-old son. "After hearing the news, I just felt the need to get here. Being a former police officer, it's an instinct," he told ST over the phone from Christchurch. "Don't sit down, don't run away, go for it - it's built into my character and that's what police do." He has since met three families affected by the tragedy - including Mr Rashid and two Malaysian families - and hopes to provide support as long as it is needed. "There's still a bit of confusion, but the focus is to help the families and help the city," he said. As New Zealand authorities work to identify and release the bodies of the victims to their families, Mr Saifudin said one of the big tasks ahead is to ensure the facilities for the mass burial are ready. He said the last day of the mass burial is scheduled to take place on Thursday or earlier if possible.